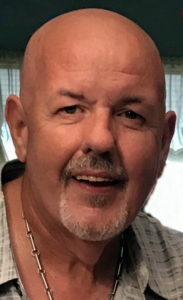 John D. Corrar passed away on Saturday, October 20, 2018 at Staten Island University North at the age of 61. Born in Brooklyn, New York, John eventually moved to Staten Island and worked as Postal Worker for the Untied States Postal Service. John was predeceased by his parents, Ann and Joseph Corrar, his sister, Patricia and his brother, Joseph. John is survived by his loving sister, Margaret and his brother-in-law, John Conway, his brother, James and many nieces and nephews. Margaret, Maryanne, Jack, Chrissy, Eileen, & Danny, my heart goes out to all of yous. John was a special person to all. I know that no words would help you at this time, just treasure the memories. Until we meet again May you rest in peace. so sorry to hear of john passing..he was a good friend and we enjoyed our rides home from the p.o. rest in peace my friend. jc you were a great friend to all of us at GTSAUTO. The fun we had will be forever cherished. We will never forget you , you were part of our family and will always be . Rest In Peace and like we always said “You’ re The Greatest “. Sorry for your loss at this difficult time. Rest in Peace my Friend, We had great times and laughs that i will never forget, My Prayers and Condolences to the Family anf Friends!!! it was only a few months ago when john told me he was sick and he said he would be ok. i am sure he is ok with GOD now. 20 years that i knew him carrying on with the horses. the man was more passionate about his favorite pass times than anybody i ever met(other than myself). i am going to miss the two johns , the loud and the quiet. rest easy buddy. My deepest condolences on the passing of John. Please accept my heartfelt sympathies. For a time, he was my dearest friend.